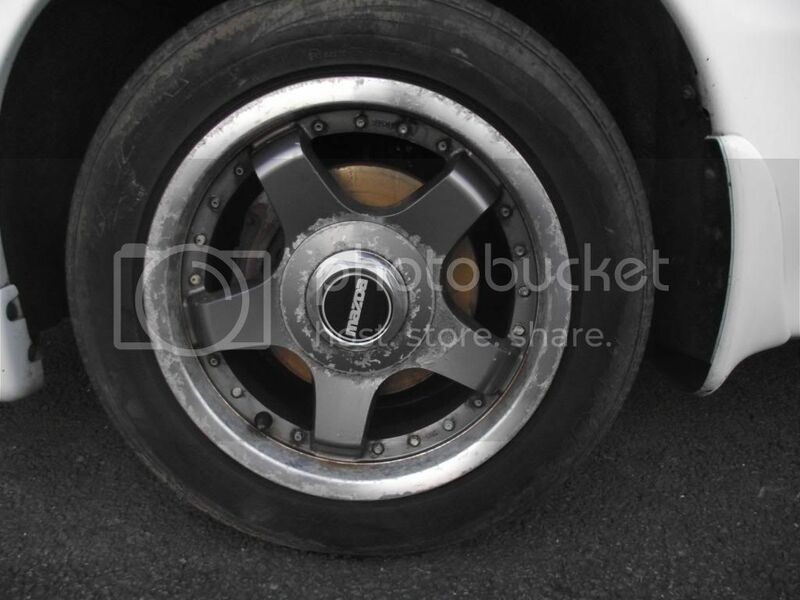 Looking to get my wheels refurb'd, original mazda ones so want to keep them instead of buying new. Will look for quotes soon but some websites talk about split rim, polished, two piece etc. Can anyone tell me what I have from these pictures? or is there anything I can do myself? Many thanks for any help. 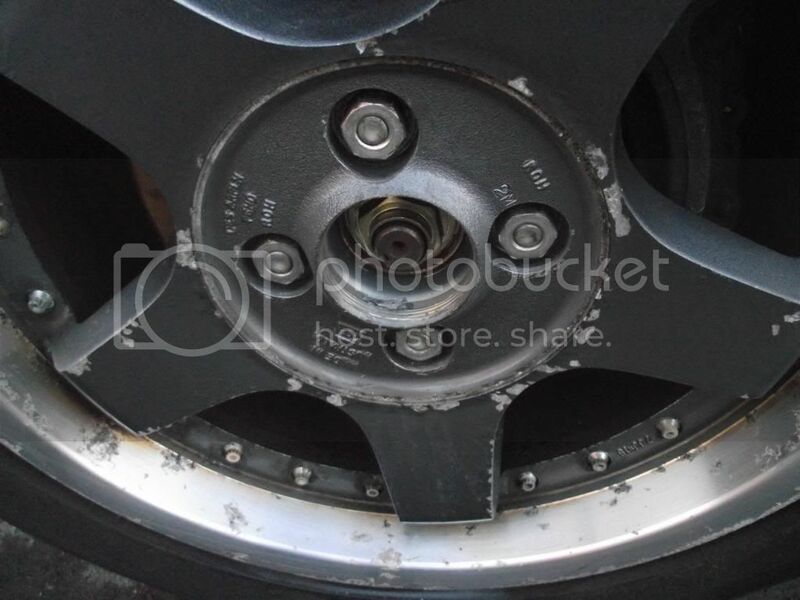 Pretty sure your wheels could be brought back to near new by a wheel refurber? but would require extensive work to firstly clean/blast, fill (If deeply pitted), paint and machine finish/laquer outer rim, all taking time and MONEY maybe to the extent of exceeding the cost of NEW same/simlr wheels (with tyres!!!). Yr tyres will have to come off to refurb properly! (charge?) if they're about 'shot' ? would ya wanna put old tyres back on? confused .com? you are now Eh! The decision is yours dazse? hope Ive helped and not bored….zzzzzzzzzz x kev B.
cheers for the info! didn't notice the 7jjx15 but obvious now I see it, also noticed ROH which are the manufacturer (australian). They are original wheels as its an SE and I managed to get an original sales leaflet off ebay for the SE and these wheels are pictured, so I would like to keep them but as they are a bit rough cost may be a bit much. Now I have to confirm they are one piece, as you say the little bolts are probably for show but one has gone missing so they are real bolts. In 1993 they made a Special edition MX-3 that was white in colour, had those wheels and some had special grey half leather interior. Can't remember if it was 250 or 500 that were made. They don't look in too bad nick, at least it all looks cosmetic, i'd get some quotes and see what they are like. Be careful though, you do get some cowboys trying to do wheel refurbs!! always look at a few jobs they have done before you commit. Choose the right guys for the job not the cheapest. Would kill (almost) for a set of them rims. Thanks for all the replies. Oxford seems to be quite expensive (approx £100 each) so will look further afield even if it means sending them. 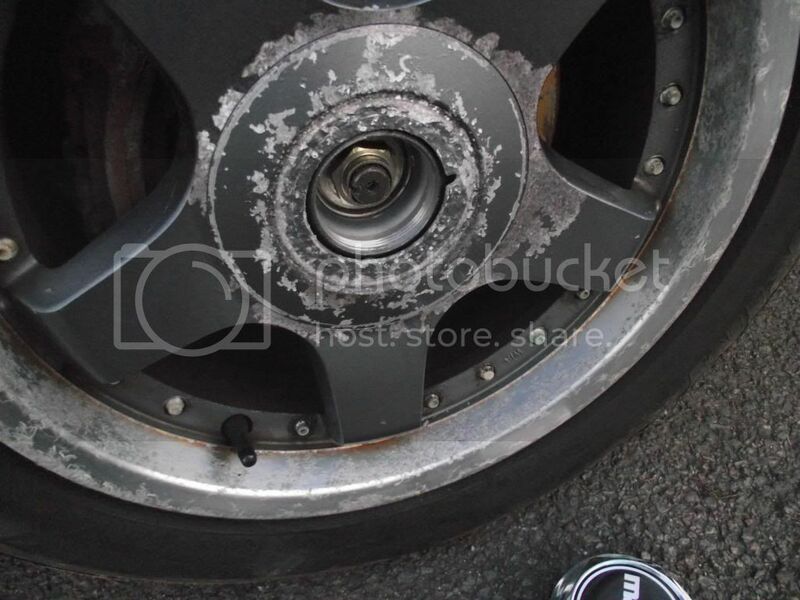 If I bought a cheap set of wheels to put on the car while these are away, does any one know what size I need look for? I know the mx3 is 4x100 pcd 54.1 bore and (i think) 38 offset. How critical are these measurements? as I have seen 56.1 bore for example and 45 offset, are these close enough??? nice job, bet that took ages. yeah it was about a week of sanding per wheel but i only sanded maybe an hour a day. So if you buckle down im sure you could get them done sooner. Thanks for the ideas, I have ordered some paints and will have a go on one to see how it goes. Like kulluminati777's wheels and have seen a How To Guide by jamesshack for wheel painting and would be happy to just get close to these examples. Have done one so far, quite time consuming! but looks good from a distance….